Security is a serious issue that should not be dealt with lightly, especially in the times that we are living in. Whether it is your house or your corporate building, securing the property is a must. This is to be done not just for safeguarding your family members, employees and assets, but also keep a high patrol of suspicious incidents and inhibit them. Fortunately, security systems today have become much more evolved than before, which allows us to detect and catch crime much faster than before. With new features and enhancements, installing a security camera system is the smartest way to keep track of your interiors. 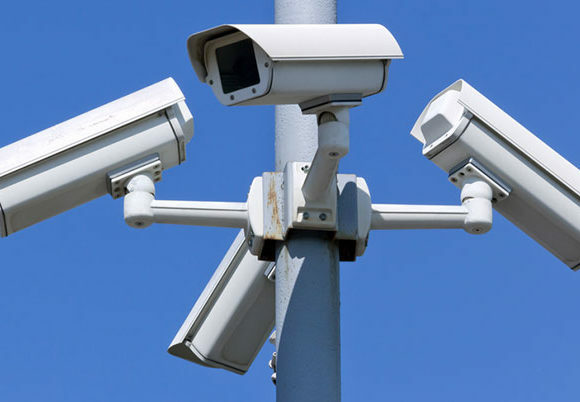 To secure the perimeter of your home or office and have a peace of mind, rely on us at D & S Security. Since 1987, we have been one of the most trusted sources for installing safety measures in localities in Anaheim, Burbank, Long Beach, Los Angeles, Torrance, and many more. Even though most people go for, and are quite content with 720p or 1080p resolutions, in the recent years technology has improved so much that it is possible to go higher for increased effectiveness of the camera. One should keep in mind that higher the megapixel, higher will be the quality on screen which will make it easier to identify and catch suspicious people. If you are investing on a camera system, you should definitely not just settle but find something a little high-grade. To make the functions of the camera more complete, you can connect it with smarter options like your phone or tab. Since it is not always possible to keep a track everywhere with the alarm system, the advantage here is that with more convenient portable items like phones and apps, it is possible to always be aware of the happenings in your home compound and commercial space. Since you will be notified much faster, you can take actions faster too. So, if you think we can be the right pick for you, dial 800-521-1958 and get the best security for yourself today!